The Uniformed Services Former Spouses Protection Act, a federal law, allows state divorce courts to divide a servicemember’s military retirement pay between spouses as part of the divorce process. Typically, this division is listed in the couple’s divorce decree. Though the military member does not begin receiving retirement payments until he actually retires, a judge can award a percentage of his retirement pay as part of the divorce, even if the divorce takes place before retirement. In such cases, the non-military spouse begins receiving her share only when the military spouse retires though the divorce decree was issued before retirement. A military retirement pension is generally called “disposable” retired pay. Military disability retirement pay and disability compensation paid by the VA are excluded from the definition of disposable retired pay. Thus, judges typically cannot split disability benefits as part of a divorce. This can reduce the non-military spouse’s share of her former spouse’s retirement payments by hundreds of dollars each month. For example, if the military member’s retirement pay is $2,000 per month and the divorce decree gives his ex-spouse half his pay, she receives $1,000 under normal circumstances. However, if the military member waives $600 of his retirement pay to accept $600 of disability pay, his disposable retired pay becomes $1,400, so his ex-spouse will receive $700 instead of $1,000. Meanwhile, the military member gets to keep $1,300 instead of $1,000 of the money he receives from the government. 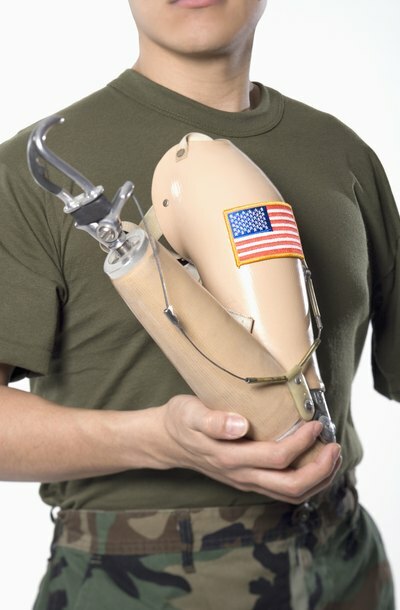 Since disability benefits are tax-free and regular retirement pay is not, military members frequently choose to receive disability benefits, when available, in lieu of retirement pay. Courts can consider VA benefits when determining child support and alimony amounts, even if the VA payments are the military member’s only source of income. The U.S. Supreme Court determined that VA payments are not intended to support the military member alone. Instead, they are intended to compensate for the military member’s reduced earning capacity, including earnings that would provide for his dependents. If a divorce court awards alimony or child support payments as part of a divorce decree and the military member refuses to pay, the court could find him in contempt of court and fine him or put him in jail. If the military member waived part of his military retirement pay to receive disability benefits, garnishment of those disability benefits for child support or alimony payments is also possible. Depending on state laws, the military member might have to compensate his ex-spouse when her share of his retirement pay drops if he opts for disability pay without her consent. Even if state law does not require this reimbursement, many states allow spouses to include such reimbursement language in the property settlement agreements that accompany military divorce decrees. For example, Virginia allows divorcing spouses to create a property settlement agreement in which the military member provides alternative payments to compensate his ex-spouse when his military retirement pay is reduced. If the military member refuses to enter into such an agreement, the ex-spouse may ask the court to specifically retain jurisdiction over alimony issues so that she can return to court to ask for alimony if the military member’s disability pay reduces her share of his retirement pay. North Carolina State Bar: Legal Assistance for Military Personnel: The Legal Eagle: Fact or ‘Whacked’? Most military benefits to a spouse automatically terminate once a divorce is finalized, but some former military spouses are entitled to benefits even after the marriage ends. Federal laws provide some protections to former spouses of service members regarding retirement pay and base privileges. Some former spouses of long-time service members are entitled to continuing health benefits.